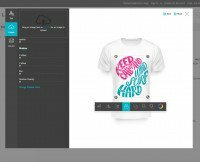 Give your Magento store visitors a chance to express their creative side and adorn your products with unique personalized prints. 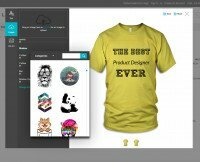 Custom Product Designer is a handy and fast Web-to-Print tool allowing customers to give a personal touch to your products and generating print-ready vector files for you in the back-end. Your buyers will benefit from exclusively designed goods, while you’ll increase your profits by setting higher prices for custom-designed items. With the extension at place, merchants are able to introduce an extra service at their stores, increasing customer interest in existing products. Customers are more likely to buy a personalized item, rather than a conventional one. Thus by offering a product customization services, online retailers get higher chances of a sale. Besides, the module allows applying higher prices for custom products, which increases product margin. Customizing goods as per their taste, customers get unique, exclusive items in accordance with their expectations and desires. Thus, product personalization helps an ecommerce business to satisfy customers’ needs better, leading to higher customer satisfaction and brand loyalty. Online retailers have access to multiple tools for market and customer research. However, one can never know if a new product should be introduced and whether it will be popular among consumers. By keeping track of the custom products that buyers order, merchants get valuable insights into what their needs are, which provides for data-driven and effective decision-making in the future. 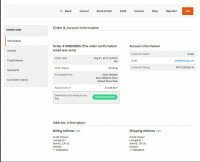 Disable purchasing of non-customized products by making the option required for specific items. Use the order number to name the downloadable archive and product SKUs to name customized items stored in it. Set the maximum text length by specifying the number of symbols that can be typed. Magento 2 Product Reviews & Ratings plugin – Receive authentic and trustworthy customer testimonials for any products at your store. Send out automated email requests to encourage buyers to rate the goods they have purchased and leave their feedback on product pages. Magento 2 Product Units and Quantities extension – Adjust product measurements according to your specific business needs. Create custom unit and quantity fields and allow customers to choose the measurements they prefer with the help of a dropdown menu, arrows and other easy tools. 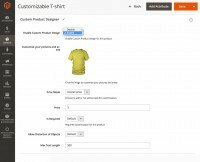 Magento 2 Custom Product Options module – Create templates with custom options and assign them to your products automatically. 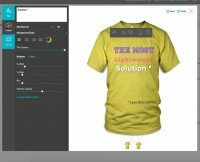 Manage custom options’ settings, duplicate, edit and delete the generated templates, and present the best-selling product configurations first. Magento 2 Grouped Product Options module – Split simple products into bundles and customize product options for each of the group. Assign as many product attributes as you need and display custom options along with the required ones for any item in the group on the grouped product page. 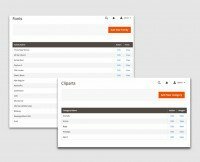 Magento 2 Product File Attachments plugin – Provide comprehensive product information to your customers by uploading additional files on the landing pages. Add downloadable user guides and manuals, video product overviews and customer testimonials using suitable file icons. The extension is quite tricky to set up but it functions well. I've raised sales since I installed it, and my customers love the option of custom design on their product. So it's a good investment into business. We’re getting more orders with customized items than we expected. We even had to hire another printing contractor to make all the prints in time. I used Aitoc extension for my Magento 1 store before. Then I migrated to Magento 2 and waited for the release for a month. This extension definitely worth every penny I spent. Added loading screen for customization's final saving process. Fixed an issue with distortion of printable area borders when resizing printable area. The extension is out of beta! Fixed an issue with configuration of content design. Fixed an issue with assign simple products to configurable, bundle and grouped products. Fixed the issue with preview display in shopping cart dropdown on the frontend.